dwell design was set up in 2009 with its approach set out to bring sustainable, passionate, well-executed and meticulous design quality to all projects undertaken. Situated on the south coast, the practice has been set up to deliver a different and high-quality service working closely with clients to excel expectations. dwell design is committed to delivering an individual architectural response to each specific site and context, and any project scale, existing development or new build. We are passionate about green architecture and for nearly a whole decade, dwell design has maintained its stance of straightforward construction practices and an ethical approach to building. Renewable and low environmental impact architecture can be achieved all the way through the design process, so much so that you might never know it was there. We look forward to any future collaborations. We look forward to hearing from you. Initially set up in 2006 as Studio Lundi by Olaf Olafsson and Julia Bradburn, our aim continues to provide quality design and creative support for our clients. Now part of the Martin Ralph Group, which is a progressive and comprehensive property consultancy, we provide a fully integrated and unique “One Stop Shop” service through our key divisions; land, architecture and surveying, which means that any size project can be can be managed by a single team of professionals – from land acquisitions right through to project completion. Our core sector is Residential but we have a considerable experience in Education, Health and Commercial projects. We believe that one should learn from the past, respect the current context, interpret the client’s brief and create beautiful spaces. Best of Houzz Award Winners 2017-2019! fiftypointeight is an RIBA chartered architectural and interiors practice specialising in residential new-build projects, extensions, alterations and renovations. By preparing specific designs tailored to the requirements of modern living, our aim is to hand over delightful and imaginative solutions and to create flexible, comfortable and efficient homes. In order to exceed the aspirations and expectations of our clients, we strive for a close personal involvement in each project from inception to completion, coupled with a constant dialogue. Based in Chichester, we work across West Sussex and the South Coast, and beyond. We are an RIBA Chartered Practice. Architecture | Interior Design | Project Management Based near Chichester in West Sussex, Randell Design Group is a firm of specialised architects and interior designers dedicated to making interesting and beautiful spaces through the realisation of our clients’ dreams. We offer custom services including architecture, planning, interior design, project management and construction. All of us love what we do and aim to make the design process enjoyable for our clients. We pride ourselves on a high quality, tailored expertise with a personal touch for clients across southern England including Sussex, Hampshire, Surrey, London and beyond. 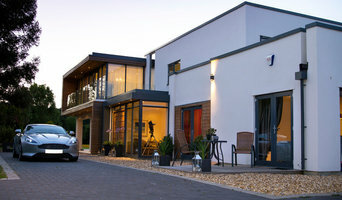 OB Architecture is an award winning RIBA Chartered Architecture studio specialising in the design and construction of contemporary homes across England and Wales. Alongside residential projects, the practice is experienced in a wide range of building types including office, retail and mixed use. PAD studio are a small team of enthusiastic architects and designers who are passionate about design and the environment. We believe that the places in which you Live, Work, Play and Grow can be beautiful, unique and sustainable. We listen to our clients closely to find out your needs, dreams and fears. We strive to make the construction journey as enjoyable as possible, whilst delivering to you a bespoke building which we believe will surpass your expectations. Every project is unique. We like to be challenged. Have a look at our projects to see how we can inspire you to Live, Work, Play, Learn and Grow. Johnny Grey Studios design and architect kitchens, interiors and outdoor rooms undertaking around 15 projects a year, for clients around the world. Johnny has been described as the world’s best kitchen designer (New York Times) and one of the top 100 hundred designers of the 20th century by House & Garden Magazine. He heads a team of artisans that make fine bespoke cabinet makers who make curved freestanding furniture, concrete structures, ceramic tiles, applied decorative and fine art patterns, basket ware, lighting equipment, forged and engineered metalwork. Design for whole house. While we are often initially brought in to work on a client's kitchen, we also have experience with other rooms. 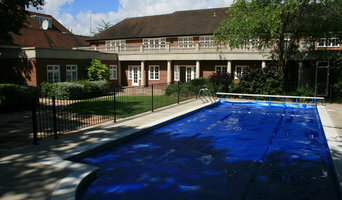 We have designed dining rooms, laundry rooms, hallways, bedrooms, bathrooms, studies, conservatories and home cinemas. JG Studios also design offices, boardrooms, studies, restaurants, wine bars and boat interiors. Custom furniture to stand the test of time. At the core of our kitchen environment is the making of fine furniture - stylish, functional and timeless. We have built up unique skills in designing custom furniture pieces for your luxury kitchen or any other room in your home. Johnny Grey designers have created everything from mapping desks, filing systems, double-fronted hallway furniture and circular roll top desks to five-column circular tables, fireplaces, drum cupboards, four poster beds and banquettes. We can design almost any freestanding piece of furniture. Separate quotations on the cost of these are available on request. Kitchen Ergonomics and flow within Unfitted Kitchens. From the kitchen to the garden and beyond. Interior and exterior spaces should interact seamlessly. Our design teams have experience of using sight lines to connect indoors activity with outdoor views into the garden. We treat architecture and landscaping as one. We have four in-house architects who are capable of taking on both large and small projects. We can create an entire home that combines the Johnny Grey philosophy of efficient spatial planning, better storage, efficient energy use and high quality craftsmanship, with visual and open physical access to the garden. AR Design Studio is an RIBA chartered, award-winning architectural practice based in Winchester, Hampshire, specialising in the delivery of elegant and imaginative contemporary architectural solutions. With a comprehensive knowledge of planning, AR Design Studio has built a stunning portfolio of completed residential projects from existing home extensions and re-modelling to new-builds and multi-plot developments. It is also a specialist designer of waterfront homes with a deep understanding of how to fully experience the light, sound and atmosphere water creates. foundations architects & designers is a Farnham based practice specialising in residential projects, offering a fully comprehensive range of services. We also undertake commercial projects, offering the same high quality service as for our private clients. The practice was established by JK Wilson RIBA, who has 25 years’ experience as a qualified architect and who has been practicing in Farnham for nearly 15 years. The practice also employs a number of very experienced and talented architects and designers, offering high quality design service within a simple and transparent fee structure. We enjoy working on buildings of every genre and work with clients to choose the best style for their house, whether modern or classical, contemporary or Arts & Crafts. We like to describe our style as a contemporary take on the fun and eclecticism of the Arts & Crafts movement but we are equally comfortable working within the strict proportional rules of Classicism and the freedom of Modernism. What links all of our projects is a commitment to quality of design, thorough and robust construction detailing, and ensuring our clients get exactly what they want and need for their projects. Forest Architecture's portfolio is underpinned by a contemporary and pragmatic approach to design. Based in Lymington, Natalie Skeete and her team of experienced professionals undertake commissions in residential, commercial and cultural sectors. Our portfolio ranges from small domestic projects to residential master-plans. We are keen on architectural conservation and are currently working on a vast number of Grade II listed building projects. We enjoy balancing historic architectural gems with contemporary additions. Visit our website and get in touch today! Joy Architects is an award winning fresh south East based architectural practice established by Julian Joy in 2017. Julian is an RIBA certified architect with with a over 20 years of experience designing residential, medical and commercial properties throughout the UK. We are dedicated and well-known for providing expertise to our clients throughout the entire design process of their built form, ensuring that we are delivering contemporary, sustainable architectural solutions. Whether this be a new build, renovation or extension to your home, we bring functionality, personality and design together to make your dream project turn into reality. Call us today. Chartered architectural services by GBS Designs. 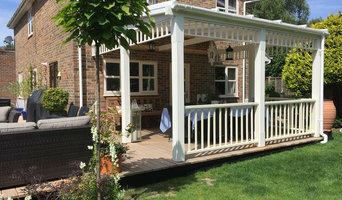 Established in 1999 and provides specialist domestic architectural design services such as extensions (including conservatories) and conversions (loft, garage & outbuildings). Are you planning an extension or perhaps some other alteration to your home? If the answer is yes, then the chances are you already have a very good idea of what you want. What you now need is an architectural practice that delivers what you want and can afford. By specializing in only the domestic side of architecture – home extensions, conservatories, out-buildings and the like we understand that our role is to give you the design that a builder will be able to understand and build within your budget. We are a complementary team of RIBA Chartered architects with a combined experience of 32 years. We are passionate about delivering innovative and unique living environments that reflect our clients' personalities and desires. 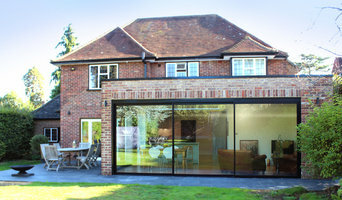 We offer a full range of architectural services across Surrey, Sussex and Hampshire. Call us now to discuss your project. 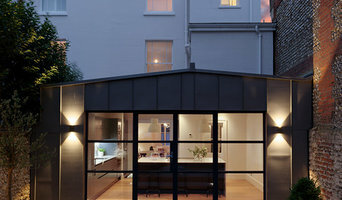 LA Hally Architect is an Award Winning RIBA Chartered Practice, with a young, fresh and innovative approach to design. "We first find out from our clients what their current and expected needs are then we work with them to create their personalised design:- Working on all scales of the project from the overall concept down to the detail of junctions between different materials. We create lifestyle architecture that provides a flexible uplifting environment of flowing, well lit, inspirational spaces that can transform the way you live." The ultimate aim is that users of the completed building experience joy and beauty in the clever use of materials, detailing, space and light. With over 30 years of experience we offer many aspects of a consultancy service From 'Concept Design', to completion. We work alongside tried and tested contractors. We are both Architectural Technician and Interior Architectural Design trained. Interior Design is not just the bits you see and touch but the space you inhabit and how it makes you feel, it is about context, responding to location and environment. We see a project through from a quick rough sketch through the build process to finished completion. Architectural Design for us is about designing a building to fit in with it's context and a solution to a client's needs, afterwards it may look as though it was always there, or meant to be, responding to the surroundings, location and materials of that area. We offer a range of services, from Interior Design, Architectural Design on residential scale, Planning, Land/plot development, to Soft furnishings, lighting solutions, kitchens, bathrooms, flooring and with other associates can broaden our consultation to include the outside spaces with Landscape or Garden Design to give an 'in&out' scheme. If your renovation is more than a simple benchtop replacement or roof re-tiling job, then it may be time to find an architect in Portsmouth, Hampshire, UK who can manage your project from start to finish. Depending on the architecture firm you hire, the scope can span from planning sustainable design into your renovations, to selecting furniture and even interior finishes. An architect is often the first person you hire for your project. Before taking steps to find an architect in Portsmouth, Hampshire, UK, ask yourself what you want to achieve from your renovation or home construction. Do you want to improve the liveability and sustainability of your home, or simply expand? What style of architecture do you prefer? Once you have established your motivation, research architects that have completed similar house designs in your Portsmouth locale and within a comparable budget to yours. Ideally, your Portsmouth, Hampshire, UK architect will be involved in all phases of the design process, from the initial concept to the completed construction. Your architect may be needed to select and hire Hampshire subcontractors (e.g. builders, engineers and landscape architects) just as they may need to negotiate contracts with stakeholders. A good client-architect relationship will ensure they are your biggest advocate along the way during construction. Find residential architects on Houzz. To find the best Portsmouth, Hampshire, UK architect for your home design project, narrow your search to find professionals in Portsmouth, Hampshire, UK. Then browse their latest projects and read reviews. You can also look through photos of projects to find an interior architect or designer who has worked on a project similar to yours.